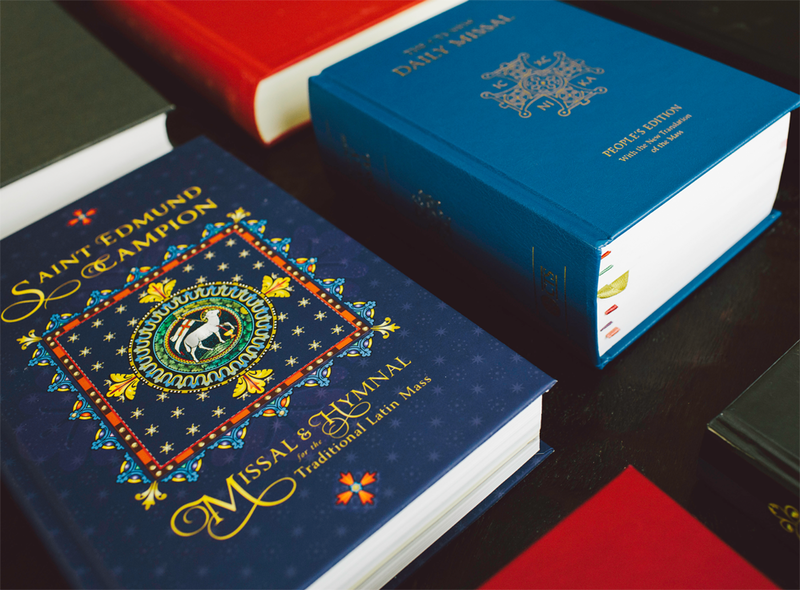 New Liturgical Blog: I’ve been told that very few copies of the Campion Missal & Hymnal (First Edition) remain in stock. How far along is the Second Edition? J. Ostrowski: It’s totally done. We approved and sent off the entire thing about a month ago. The books will start shipping in approximately fifteen business days. New Liturgical Blog: What has changed? Why another edition? 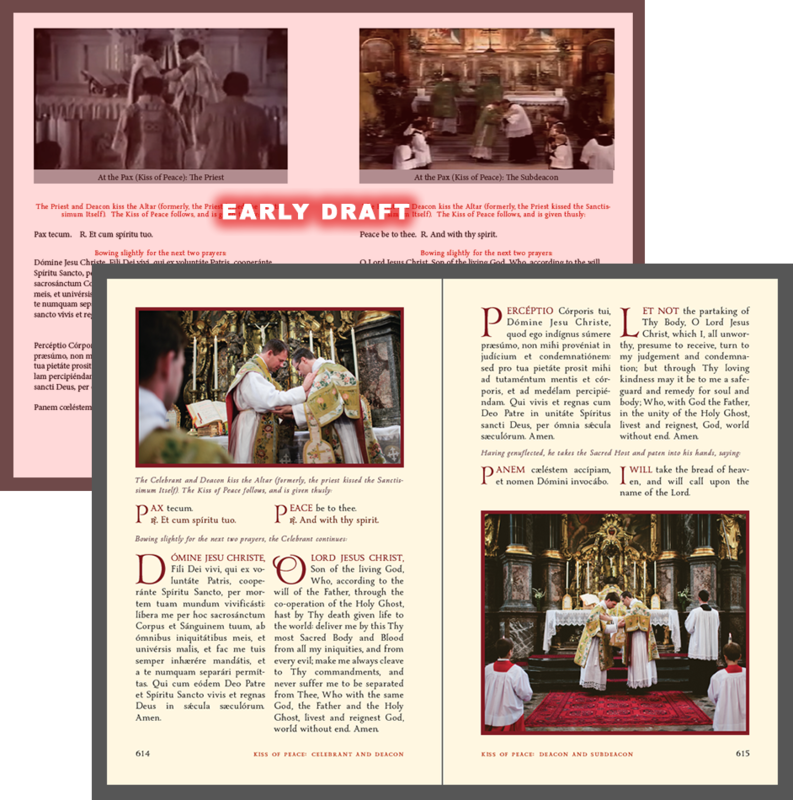 J. Ostrowski: I suppose the best way to find out would be to purchase the Second Edition and see for yourself, but let me attempt to briefly summarize: (1) several typos were corrected; (2) the Solemn Mass section was completely redone and now has a clearer, more “classic” layout; (3) a ribbon has been added; (4) minor improvements were made throughout the book to things like headers; and (5) the cover has been changed to a more subtle, elegant design. 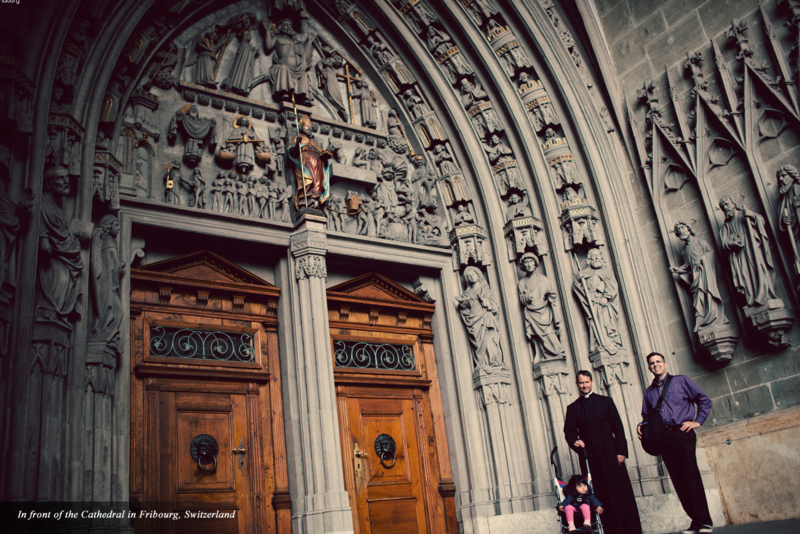 The original cover was lovely, but some priests felt it clashed with the colors/architecture in their churches (ours is a book for the congregation). New Liturgical Blog: You’re sounding a bit like a vacuum salesman who came to my door the other day . . .
J. Ostrowski: Ha! Well, let me be honest: I did not believe the First Edition could be improved upon, but I was wrong. Perhaps I could be permitted to share a comment by one of the proofreaders of the Second Edition? Contrary to my initial reaction, after looking closely at this Second Edition, I feel the simplification of the layout and the loss of some artwork may have been a blessing in disguise. I think a majority of folks will find the new more clean-cut format more readable. The subdivision and open 2-column formatting of things like the Lavabo is a big improvement, as is the new Crucifixion and more visible display of the Te igitur, making them easier for neophytes to follow. Also, I think the new page footers may be helpful for newcomers to the TLM. 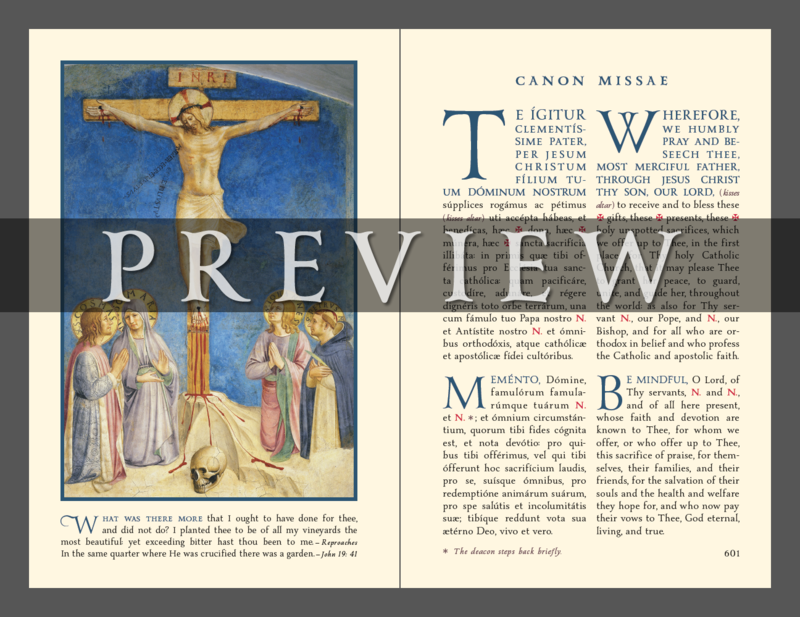 In short, as a major devotee and promoter of your Campion missal in its First Edition, I wind up my review of this Second Edition simply liking it better! New Liturgical Blog: Applying “computer lingo,” is this new edition of yours backwards compatible? J. Ostrowski: Oh, absolutely. None of the page numbers have changed, nor any of the music. 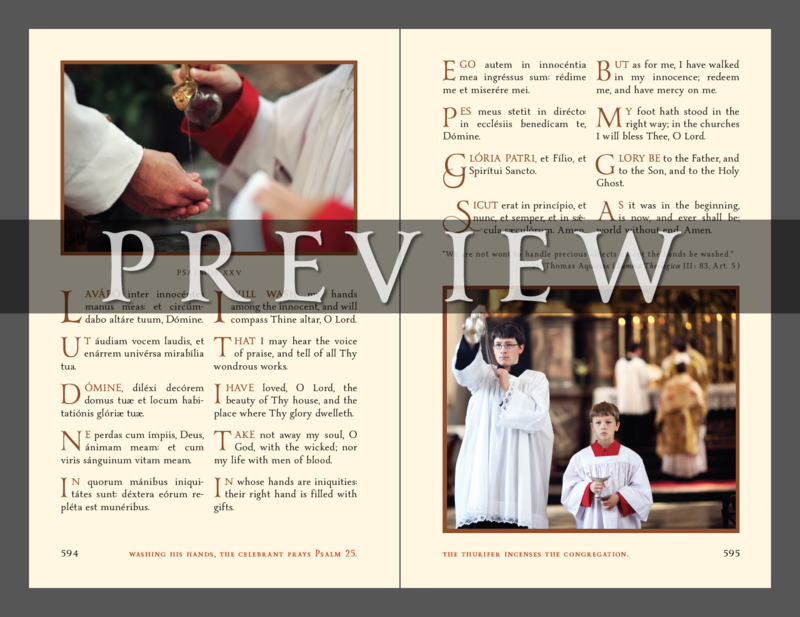 New Liturgical Blog: Would you allow us a sneak peek? New Liturgical Blog: I know you wrote a series of articles for NLM when your book was first released. Now that you’ve had time to reflect upon the entire project, could you share a few reflections? The rubrics are in English throughout, and have been specially prepared to give the reader all necessary information, without entering into minute directions which concern the celebrant alone. Let me emphasize once more that every choice has advantages and disadvantages. 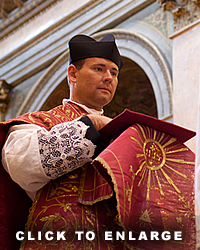 Our hope is that the Campion Missal, in spite of its flaws, will allow Catholics to assist at Mass with greater devotion. New Liturgical Blog: If people could take away just one thing from this interview, what would it be? 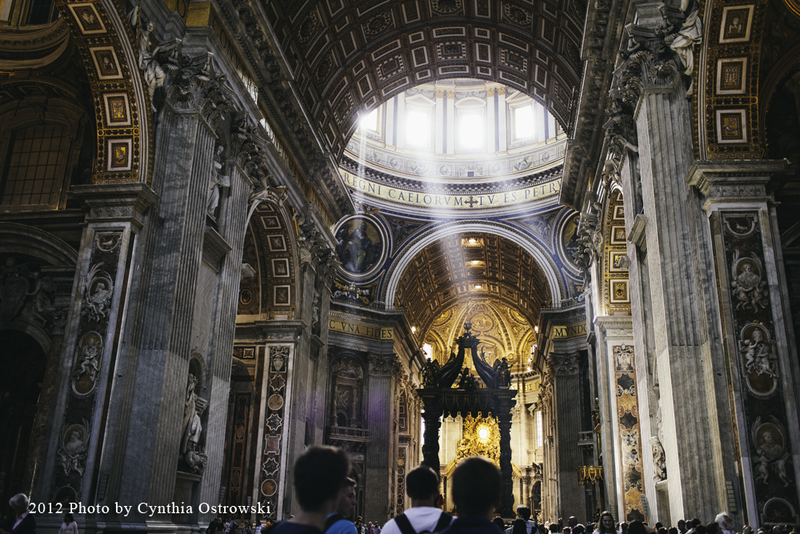 J. Ostrowski: I want them to understand our book is designed for the congregation. 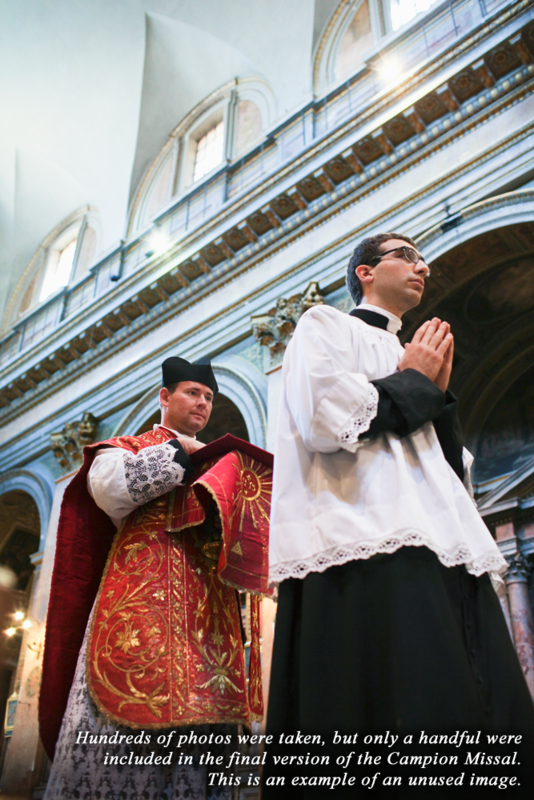 Ordinary Form priests are accustomed to purchasing hymnals and missalettes for their entire congregation, but this doesn’t occur to many Extraordinary Form priests. As a result, members of the congregation who (for whatever reason) don’t have a missal with them end up staring into space the whole Mass. How can your congregation sing a hymn together at the end of Mass if everybody has a different book? Perhaps this situation arose because until recently it was almost impossible to purchase a Catholic hymnal that wasn’t chock-full of embarrassing texts and goofy tunes. 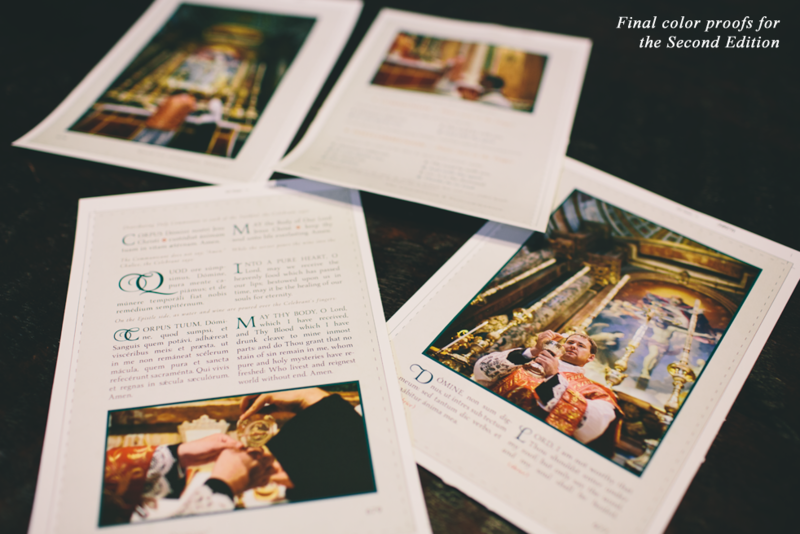 New Liturgical Blog: Is it true you flew your entire family to Europe, since your wife acted as director of photography for the beautiful color images in the Missal? J. Ostrowski: That’s correct, and at that time Cynthia was pregnant with our second child. 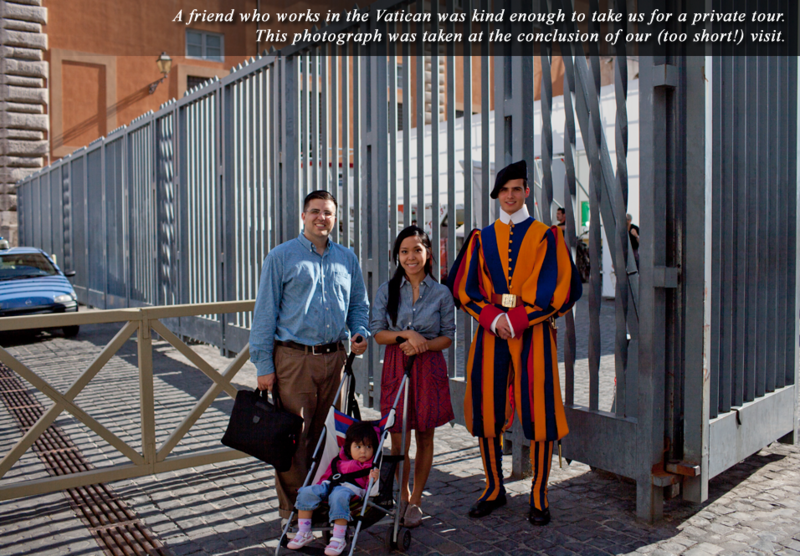 I can tell you it was difficult to travel from Switzerland to Rome with a 1-yr-old and all our equipment. Our schedule was quite hectic. At the same time, members of the Priestly Fraternity of St. Peter were incredibly helpful, and we will never forget their kindness. 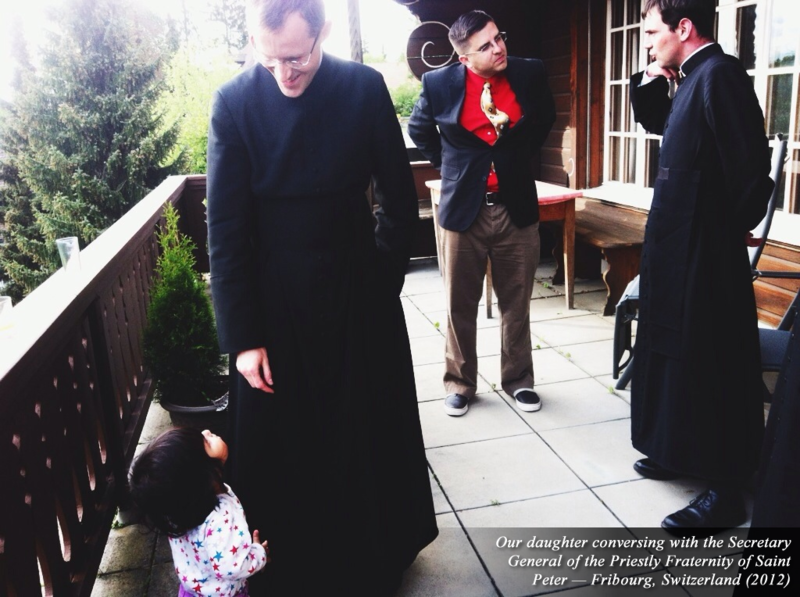 I can’t help but wonder if some of the seminarians were strengthened in their celibate vocation when they saw “up close” how much work is required by an energetic toddler hopelessly off her sleep schedule (due to the time zone change)! Speaking of the photographs, it was necessary to take many “test” shots to get the proper lighting in advance (and the Blessed Sacrament was of course removed during this process). 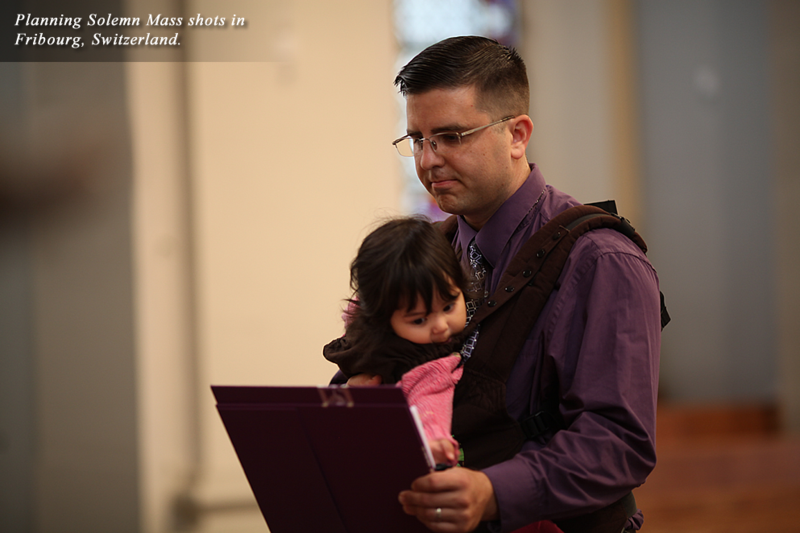 My daughter was actually strapped to my chest at the time, which in hindsight looks rather comical. 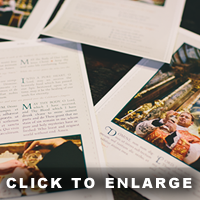 New Liturgical Blog: Did you take “behind the scenes” photographs documenting any of this? J. Ostrowski: Not nearly as many as I would have wished, but I believe we might have a few somewhere. I’d be happy to provide them if you think these would interest your readers.